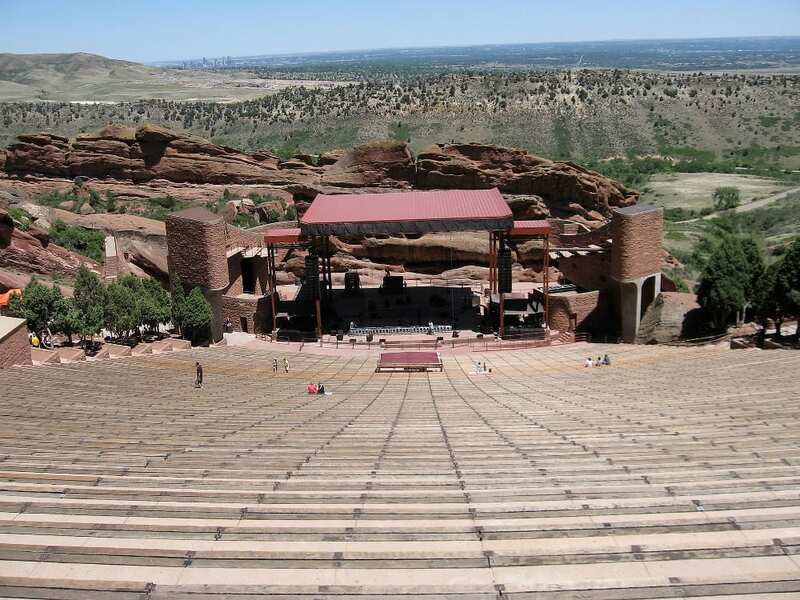 Red Rocks Amphitheater is known internationally for its natural acoustics and one-of-a-kind ambience. The venue regularly draws an absolutely stellar lineup of international musicians. Of course, that’s only part of the park. It’s a world-class concert venue located in the Foot Hills near Denver. Big-name artists perform there regularly during the warmer seasons. On non-concert days it’s full of locals exercising and tourists soaking in the sights. Weekend mornings are especially popular for those looking to sweat it out on the steps of the amphitheater. The 868 acre park stands at 6,450 feet above sea level and is named after the staggering red sandstone monoliths that jet out of the ground. 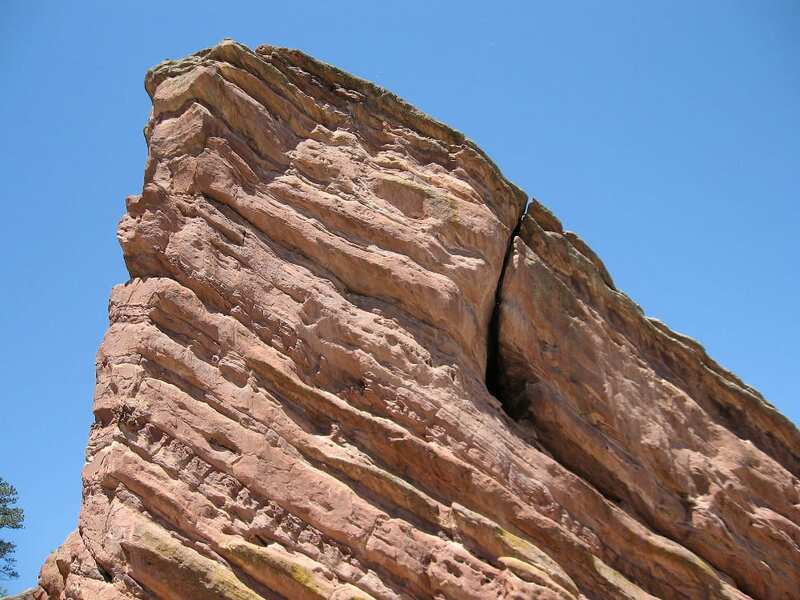 The most popular rocks are Creation Rock to the north, Ship Rock to the south, and Stage Rock to the east. 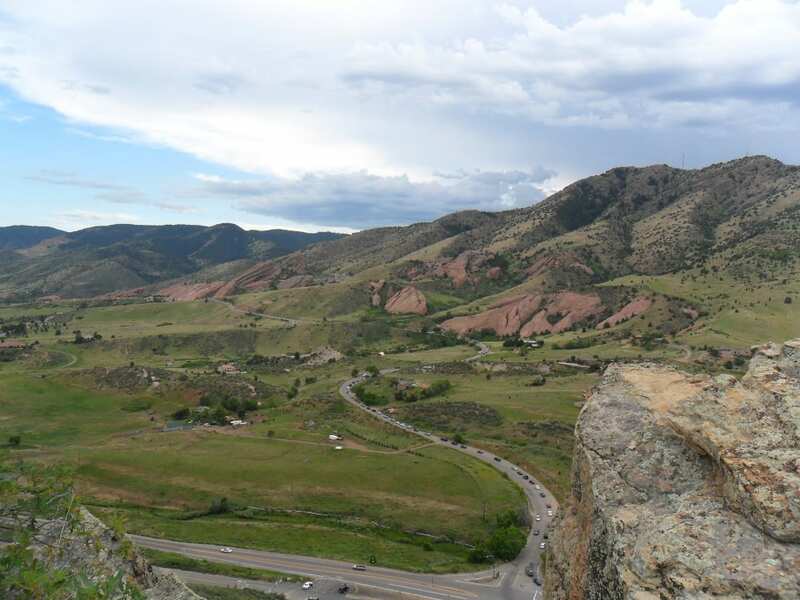 Long before General Long discovered Red Rocks in 1820, it was a common gathering spot for the Ute tribe. It became Garden of the Angels in 1870, and became a tourist attraction. Later it became known as Garden of the Titans from 1906 to 1927. 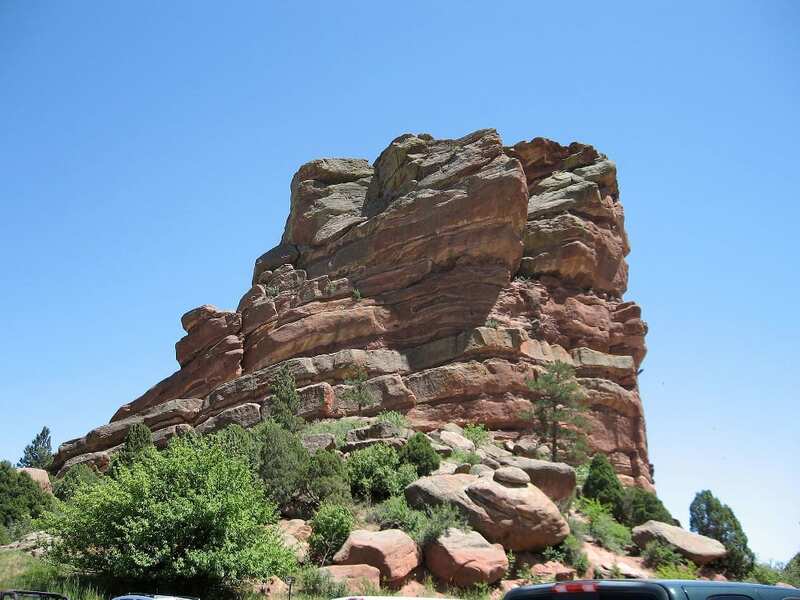 It was purchased by Denver in 1928 and named Park of the Red Rocks. The concert venue was completed in 1941 by the CCC. Trading Post – Red Rocks souvenirs, daily from 9am to 4pm. Visitor Center – Exhibits and small merchandise counter. Ship Rock Grille – Reserve a pre-concert dinner or enjoy lunch daily. Biking/Hiking – There are two hiking and biking trails. The 1.4 mile Trading Post trail leads you through the Fountain and Lyons formations before ending up at the trading post. The Red Rocks trail begins at the lower north lot and can be connected with the Matthews-Winters trail, creating a six mile loop. Horseback Riding – Permitted on the Red Rocks trail. Picnicking – Common on the steps of the amphitheater. Rock Climbing – Not allowed. Tours – Private group tours for more than nine are available. 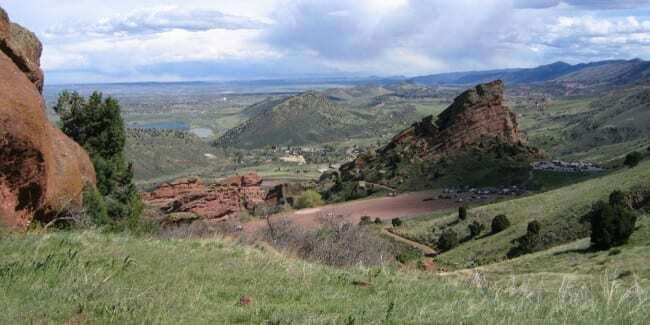 View of Red Rocks from Dakota Ridge.